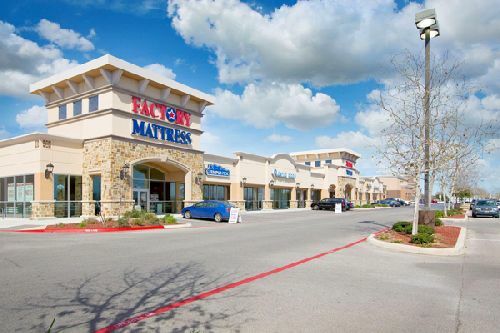 Nooner Holdings has acquired Military Crossing, a 171.3k sf, community shopping center located in San Antonio, TX. The center is 99% occupied and includes Academy Sports flagship store, BioLife Plasma Services, Harbor Freight Tools, Chase, and Firehouse Subs among others. LA Fitness is also an anchor tenant at the center but was not a part of the sale. Built between 1996 and 2014, and located at 7523 NW Loop 410 in San Antonio, Military Crossing is situated on just over 19 acres of land. The property is well-located in a densely populated area with more than 328,000 people within a five-mile radius. Directly behind and abutting Military Crossing is a 633k sf National Security Agency (NSA) facility which was converted from a Sony fabrication plant in 2006 and brought 1,500 new government jobs to the immediate area. Additionally, Military Crossing is located near exit 96 off Interstate 410 and is part of a major retail corridor in the area creating strong crossover shopping synergy with adjacent retail centers. Nicknamed Military City, San Antonio is home to one of the largest concentration of military bases in the country. Active installations include Lackland AFB, Brooke Army Medical Center, Randolph AFB and Fort Sam Houston. Webb Sellers, Kyle Stonis, Pierce Mayson, Matthew Mousavi and Patrick Luther with SRS Real Estate Partners’ Investment Properties Group represented the seller, Santikos Real Estate. Nooner Holdings was repped by Eric Lehman of Lehman Real Estate. The price was not disclosed.